Come to get the best experience travel, get free from stress, best service bus, 2 nights with breakfast included in the beautiful and colonial city of Antigua Guatemala, in the colonial style hotel Las Farolas or Posada la Merced, this is a wonderful hotel with beautiful gardens, next to the central area of the city, get fun and enjoy your day and be free. If you take this tour from Rio Dulce you can choose to extend nights in Valle Dorado resort & Water Park for minimum extra price. 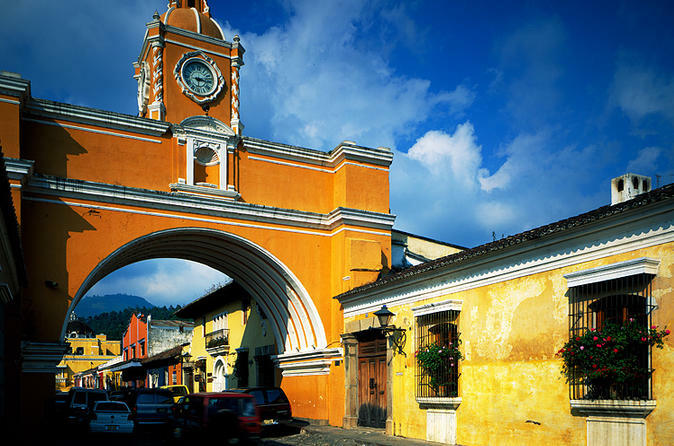 From Guatemala, Puerto Barrios or Rio Dulce, will start your trip from bus station of Litegua and move up south to the wonderful city of Antigua Guatemala, best solution to get free from stress, come to the best experience travel, get free, best service buses, 2 nights with breakfast included in the beautiful and colonial city of Antigua Guatemala, in the colonial style hotel Las Farolas or Posada la Merced, wonderful hotel with beautiful gardens, next to the central area of the city, get fun and enjoy your day and be free; For most adventures and fun team you can take one of excited tours like City Tour or tour of the villages, enjoy your walking sunset arround the colonias monuments. If you take this tour from Rio Dulce you can coose to extend nights in Valle Dorado resort & Water Park for minimum extra price.